HeartCry continues to pray for opportunities to assist Pakistani churches in proclaiming the authentic gospel and planting biblical churches. Previously, we funded Urdu translations, and we are delighted to presently support a Pakistani church planter/intern named Behroze, who is preparing to plant a Pakistani church in the future. Behroze is presently pastoring Pakistanis in an unnamed country and interning in that location in a healthy church with mature elders. The elders are caring for his soul and equipping him for future ministry in Pakistan after the internship is completed. The elders in the report below share the latest information on Behroze. Behroze traveled back to Pakistan in the Fall of 2018 to spend time with his family before he starts his internship with us. The elders will be directing the internship for Behroze, and we are excited to develop the program as it has excellent potential to train many others from around the region in this strategic location. Before Behroze came to us, he was in a Pentecostal church. However, after his time at our church, he grew in theology and a better understanding of what a Biblical and healthy church is. Behroze has met with many of his old Pastor friends during his time in Pakistan. In these past four months, he’s preached in many of their churches and had individual conversations with pastors about what he learned with the elders of our church. In one sense, he’s been on a scouting trip to find faithful, humble pastors who are teachable, love the gospel and have a desire to grow healthy, biblical churches. He’s developed close friendships with two pastors in particular. One is the pastor of a small Pentecostal church in a village where Behroze's wife is from. 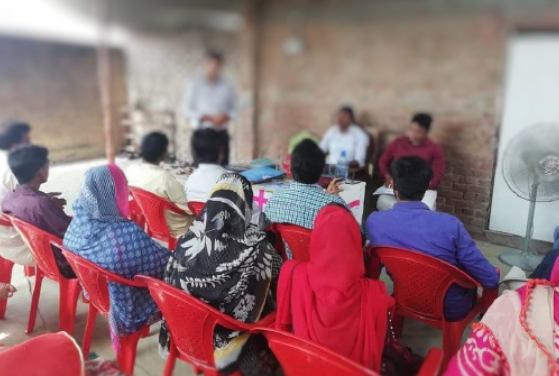 While on visits to his wife’s family, Behroze has been leading in that church a weekly bible study on healthy church principles. However, he’s been more closely working with pastor John, who is a lay pastor of a Baptist church of about 30. Rafaqat has developed a close friendship with him. They have studied the scriptures together and discussed some of the 9marks books translated to Urdu. John has invited Behroze to preach occasionally at his church, as well. An exciting development has been working with Behroze’s brother, nicknamed Jeff, who is a member of our church. Jeff has been growing in the gospel very quickly in recent months. While Behroze has been in Pakistan, Jeff has been developing deeper friendships with many Pakistanis that live here and has been tilling the soil and sowing lots of gospel seed. Jeff brings several Pakistani friends to church every Friday who are interested in the gospel. Just last week, Jeff arranged for another church staff to and me meet with a group of about 20 Pakistanis to share the gospel with them. So it’s exciting to see the ripe fields that Behroze has to work in when he returns to us.